We have some good news for Trove players on console today. Crystal Combat, the update that released on PC in December, is now available on both the Xbox One and PlayStation 4. Now console players can explore three new Topside worlds: The Cerise Sandsea, Hollow Dunes, and Weathered Wasteland. These words are filled with new monsters shrouded in Darkness and only players with the proper Crystal Equipment and Cosmic Gems can defeat them. In honor of the launch, Gamigo is hosting a Subterranean Scramble event. During this event, players will help Diggsly track down his lost shadow and earn special rewards. 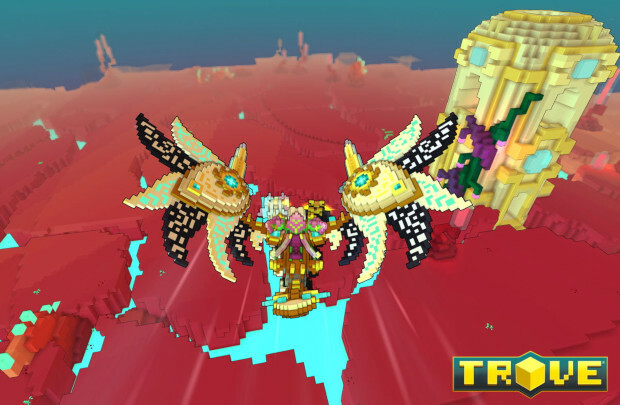 More information on the update is avilable on the Trove site.